Can you remember the first digital camera you saw? The magic of seeing the picture you took seconds before appearing on the screen right before your eyes? Often as we have traveled to schools for distributions we have been able to capture the students with our point-and-shoot or digital SLR cameras - and then instantly create entertainment for the students by replaying the shots for them. For many of the children, this is the first opportunity they have had to be close to a camera. These experiences spawned the idea for our next fundraiser, Pics for Pesos 2008. 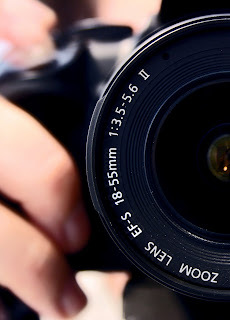 We are looking for your donations of used, but functional, digital cameras (our goal is 50!). Volunteer photographers will spend several hours teaching children the basics of photography, after which the children will be free to set their creativity free and capture images of themselves and their surroundings. A selection of their photos will then be printed and auctioned off to raise funding that will support the goals of Help One Future - to provide necessary school supplies to these and other needy children that will allow them to take full advantage of their academic experience. Details are still in the works, but in the meantime please spread the word. Dig out your dusty 3 and 4 megapixel beasts (or better) and get ready to drop them in the mail. Drop boxes will be hosted in San Francisco, Los Angeles, New York, Salt Lake City, Hong Kong, and Manila. 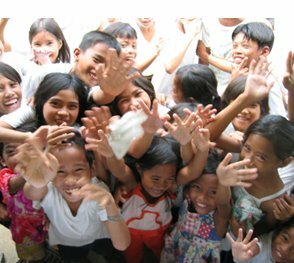 Also, if you don't have an old camera, but would still like to help specifically with Pics for Pesos 2008, you can specify that your donation should be directed towards the Pics for Pesos 2008 project when you donate. Please send us an email with any questions.